I wanted to share something I finished up on a client yesterday. All parts of a Versys! Amazing talent, but not for me. I'm not dedicated enough to get a tattoo. Very nice detail, depth & clarity! Love these tattoos makes the old stuff look so blurred Crap. But they also didn't have the guns they have now. Neophyte could you show us your equipment? Just curious. Saw a tattoo while at Deals Gap last year was amazing Guys arm looked just like his wife,seems to me that faces are the hardest to get right and really look natural. 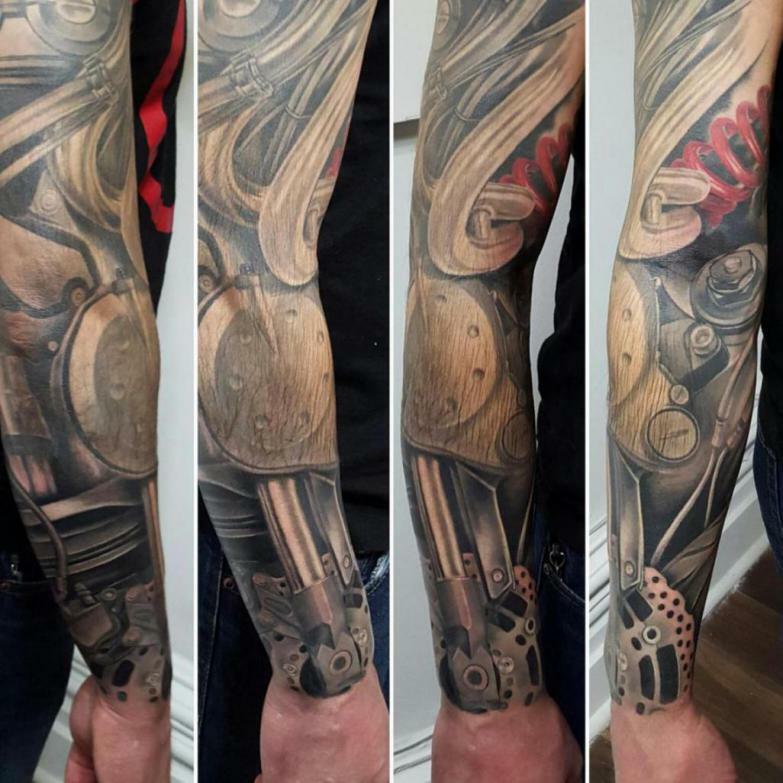 But again very nice work on the arm! Great! Day All. Just Tried to give a compliment. Sorry to have bothered. Neophyte could you show us your equipment? Was wondering how long before that came up. No just trying to give a compliment on the work. Never tried to act as if I know anything about it. Just trying to show some interest in someones hobby & or Job. Pretty much sounded like I got told off politely. Oh well think I'll go out to the garage and use some of my secret one of a kind tools I made myself to fix my bike. Last edited by JYDjr; 04-12-2016 at 10:41 AM.